The Sardar Patel Award and Sardar Ratna organized annually by the Sardar Vallabhbhai Patel Foundation in loving memory of Sardar Vallabhbhai Patel. Sardar Patel Award instituted was on 131st Birth Anniversary of Sardar Vallabhbhai Patel, 31 October, 2006 and Sardar Ratna on 60th Republic Day of India, 26 January, 2009. 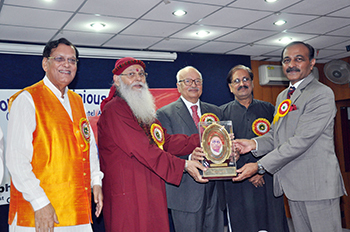 The tenet of both awards is to promote his ideals well- known philosophy for the National Integration of the country to Non-Resident Indian, Person of Indian Origin, awarded to those distinguished persons, who have significantly contributed towards nation building and/or towards technological and scientific advancement in a particular field of eminence, in which they are the well known experts.